This is the classiest cover of "Thong Song" you've ever heard. Jen Kwok's '69*' combines 90s R&B and classical piano. Ohhhh yes. This is pretty damn marvelous. 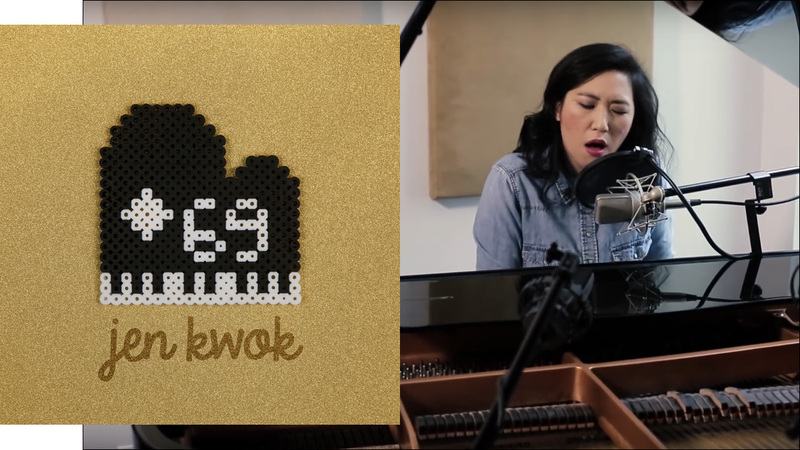 Comedian/actress/musician Jen Kwok's latest project *69 combines two of her greatest passions: 90s R&B and classical piano. Girl, you're speaking to my heart. The six-song EP and video series features Jen's smoothed-out vocals and a Rachmaninoff-esque spin on some popular hits of yesteryear, including classics like "Thong Song" by Sisqo, "My Lovin'" by En Vogue, "My Boo" by Ghost Town DJs, and "Are You That Somebody" by Aaliyah. This is so good. The *69 EP is now available from iTunes, Spotify, Google Play and Amazon. And every #ThrowbackThursday, Jen will be releasing a new video from the EP on YouTube and Facebook. For more information on Jen Kwok and *69, visit her website.